Conway Twitty performs "I See The Want To In Your Eyes"
"I See the Want To in Your Eyes" is a song written by Mischa Scorer and Wayne Carson. The song was first recorded by honky-tonk singer Gary Stewart. 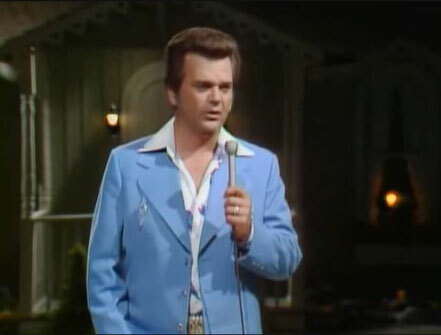 Country music artist Conway Twitty heard Stewart's version on the radio and decided to record it.Twitty's version was released in July 1974 as the second single from the album I'm Not Through Loving You Yet. 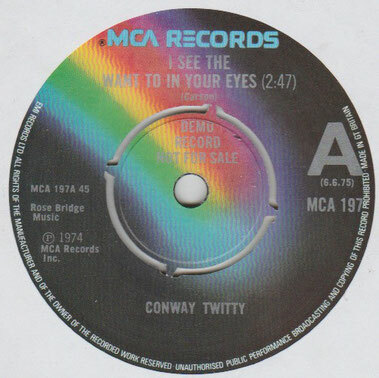 "I See the Want To in Your Eyes" was Conway Twitty's 11th number one on the country chart. The single stayed at number one for two weeks and spent a total of 13 weeks on the chart. A filmed performance of Twitty on That Good Ole Nashville Music singing the song is featured in "The Juice Is Loose", an episode of Family Guy. The song was aired in its entirety.